Mr. Kei Fai Cheung passed away peacefully on 5 Aug 2015. 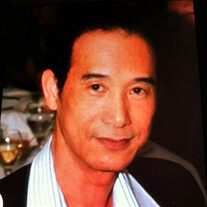 Beloved husband of La Yuen Cheung. The family of Kei Fai Cheung created this Life Tributes page to make it easy to share your memories.